A critically acclaimed drama that turns the standard biopic inside out, Jackie marks an exciting collision of talent between bold Chilean director Pablo Larrain and Oscar nominated star Natalie Portman. The film recounts the aftermath of JFK's devastating assassination in 1963, specifically the effect it had on the first lady, Jackie Kennedy (played by Portman). Mirroring the effect of that fateful day on Kennedy herself, the movie implodes the usual cliches by jumping back and forth in time, playing around with notions of objective truth versus subjective memory, and zeroing in on an anguished time when Jackie was compelled to not only comfort her kids but also an entire nation. Anchored by Portman's superb central performance, the movie has plenty of interesting and timely observations to make about women in positions of power. 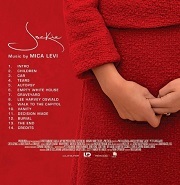 Meanwhile behind the camera, Larrain performs another masterstroke in hiring Mica Levi (of experimental pop group Micachu & The Shapes) to score Jackie's story, the composer (another of the film's Oscar nominees) drawing on the requisite sense of sensitivity and compassion to do justice to both Jackie the feminist icon and Jackie the reluctant leader with nerves of steel. That said, such a description is all relative: as she proved with her astringent, unsettling, BAFTA-nominated debut score for Jonathan Glazer's masterful sci-fi Under the Skin, the classically-trained Levi isn't one to stoop to musical cliche. Just as Larrain looks inward towards Jackie's fractured emotional psyche, so too does Levi use an array of striking textures to craft an introverted yet memorable score that captures the contradictory facets of Portman's portrayal. It's a more accessible and in many ways lyrical score than Under the Skin, but melodramatic and crowdpleasing it isn't. Nor should it be: this isn't a movie that calls for grandstanding music and Levi's intuition is all the more commendable for it. Interestingly enough Levi claims not to have scored to picture, instead relying on her own instincts for the musical ideas. Regardless of her methodology, the end results are very effective. There are several recurring ideas in the score, beginning with the eerie, 'gliding' strings of the 'Intro' that harnesses the sparing textures of Under the Skin but in a somewhat more emotionally direct way. Never coalescing into something truly harmonious but always leaving the listener hanging, it's a superb way of musically depicting the torment felt by Jackie Kennedy on that day that changed America forever. Reprised later in 'Lee Harvey Oswald' and 'Walk to the Capitol', the theme (if it can be described as such) uses the dynamics of the strings and celli pulling in two different directions to give a suspended feeling. The latter two tracks embellish the idea with the occasional, tentative woodwind inflection and further, brooding input from the bass section, a battle between light and dark that plays right to the heart of the fight for both Jackie's and America's soul. The darkest track is also the briefest: 'Car' whose angry undercurrent accompanies the shocking flashback to the assassination itself. The other primary theme in the score arrives in 'Children', a hesitant yet attractive interplay between strings, celli and woodwinds that, like much of the rest of the music, refuses to fully cohere, the elements of the orchestra all brilliantly circling around each other like thoughts flooding through a distraught mind. The injection of snare drums lends an appropriately militaristic bearing, to be reprised in the later 'Graveyard'; even more impressive are the suspended melodies, long pauses and haunting vibraphone of 'Tears', which sounds as glacial as its track title implies. 'Autopsy' is more nakedly emotional (within the scheme of things), the snare input again reinforcing Jackie's position as America's temporary statesman in the wake of her husband's death.There's more than a touch of Bernard Herrmann around the swirling strings of 'Empty White House', ones that appear to be heading towards something of a resolution but never quite getting there. Harmonically and tonally the music is attractive, conveying the fragility of Jackie's persona, post-assassination; rhythmically and structually however it denies the listener the catharsis they seek, a brilliantly contradictory approach that makes the music fascinating to listen to. 'Burial' uses tremolo strings to audibly craft a disharmonious sense of angst whilst Teased by the all-too-brief 'Decision Made', 'Vanity' is the score's standout piece, buoyed by a genuinely lovely, flighty woodwind section that humanises the colder underlying strings. There's almost - and it needs to be stressed, almost - a touch of John Barry around its tentative grace. Everything comes together in the climactic 'The End', legato strings layered atop the fluctuating interaction between the various other components of the orchestra. It has the complex feel of being outwardly calm yet concealing undercurrents of emotional turbulence - in other words, perfectly tailored to the dramatic needs of the movie. One is reminded of Clint Mansell's superb High-Rise score in moments such as this and the climactic 'Credits', which reinstates the hypnotic dialogue between strings and vibraphone. There's no denying that Jackie is a far from conventional movie, and therefore it required a somewhat unconventional composer to match its unusual tonal blend of artifice and sincerity. 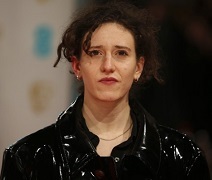 Mica Levi is well positioned for the job given her keenly intuitive work on Under the Skin, and with only two feature film scores to her name she is clearly able to think outside of the box in fresh and experimental ways, emboldening Pablo Larrain's vision. In terms of musical instinct, both in terms of its composition and narrative storytelling, the Jackie score is a demanding but rewarding listen, one that gets under the skin of its film in remarkably effective ways. Mica Levi's next film score can't come soon enough. 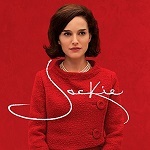 The Jackie film score soundtrack album is available from these links at Amazon.com and Amazon.co.uk.